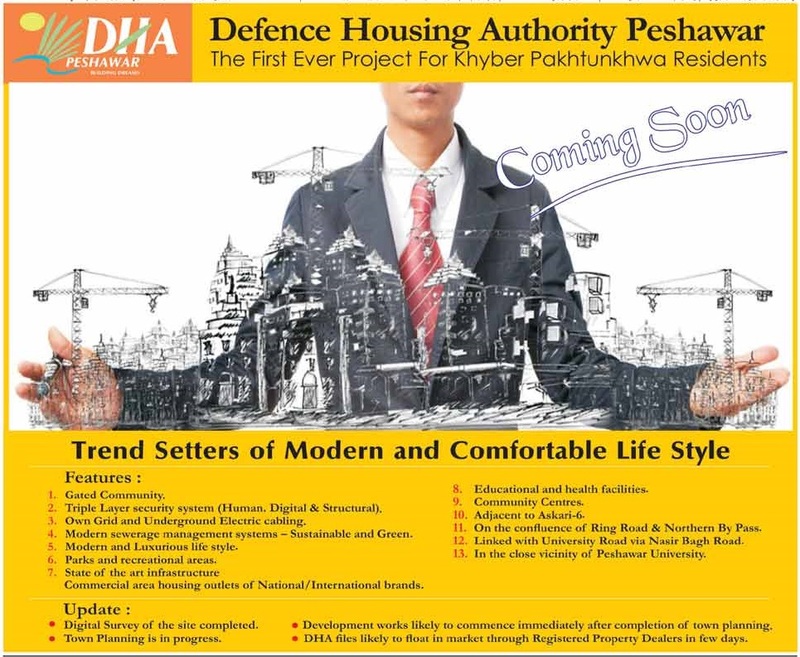 As per the advertisement, this housing scheme will be located somewhere close to DHA Phase 3 Islamabad which lies on GT road opposite to DHA Phase 2. It could be somewhere close to RAWAT or surrounding area where land is cheap and many developers choose that area for their housing schemes. The most prominent feature as mentioned in the advertisement is that this housing scheme is fully insured by IGI insurance. In case of accidental death of a customer, IGI insurance will be liable to pay off remaining installments of that customer’s plot in Earth Garden Housing Scheme. 60% quota is already allocated for some private organizations which may be partner in this housing scheme, while remaining 40% plots will be given to general public. 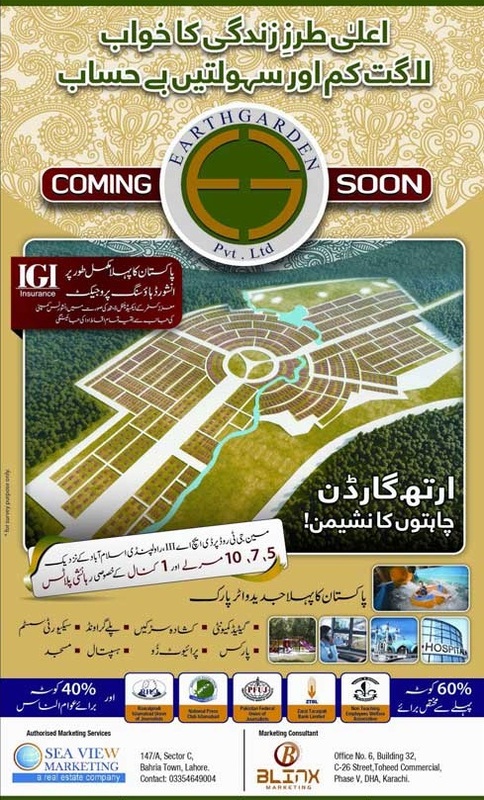 The scheme will consist of 5 marla, 7 marla, 10 marla and 1 kanal residential plots. There are no further details available regarding this project, so we will update this page as soon as we come to know further details on Earth Garden Housing Scheme.